This week we're proud to introduce Sylvia Bambola and her beautiful book, The Daughters of Jim Farrell! With a wonderfully unique background and several published novels to her name, see the advice she offers other writers. Pennsylvania 1873: When, in the harsh world of Pennsylvania coal country, Jim Farrell is hanged for murder, his wife and three daughters must turn their beautiful home into a boarding house in order to survive. But struggling beneath the shadow of shame becomes too much for eldest daughter, Kate, who resolves to clear her father’s name, and in spite of her mother’s admonition to “let it go,” convinces her sisters to help. All too soon their dangerous quest rips the family apart. Will it also cost them the men they love? Q. What are the main themes in your new historical novel, The Daughters of Jim Farrell? A. There are a few but I’ll mention only three. The first, and I believe the most important, is the issue of forgiveness even in the face of the ultimate sin—that of having a loved one killed unjustly. All of us will have opportunities in our lives to forgive wrongs. And the importance of doing so cannot be understated. Jesus says in Luke 6:37 “Forgive and ye shall be forgiven.” That’s a stunner. And means what it says. So we cannot afford to harbor unforgiveness of any kind. And forgiveness isn’t a feeling, it’s an act of will. Another theme is the tension between labor and management. And this tension seems to be intensifying as politicians seek to divide us by income and pit us against each other. The Bible cautions us that “if a house be divided against itself, that house cannot stand.” Labor needs management (and entrepreneurs, etc) to create jobs and management needs labor in order to make their companies successful. We are ONE nation under God. We need each other to succeed. Finally, what family hasn’t seen its share of sibling rivalry? 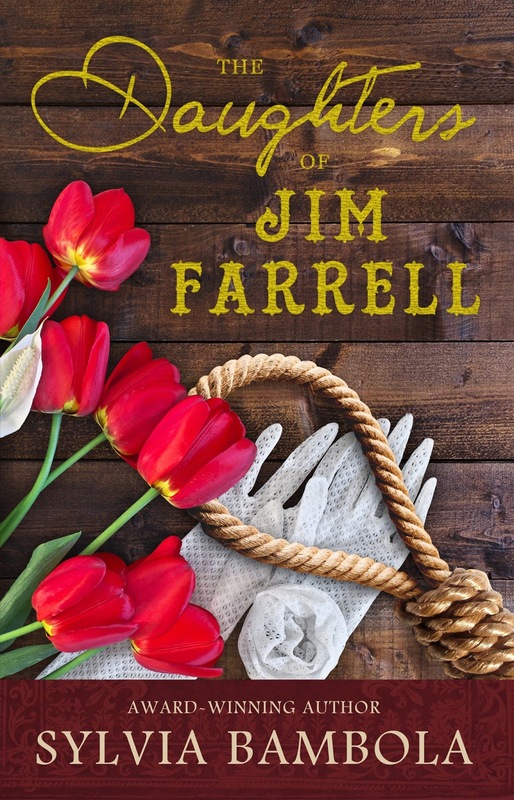 The Daughters of Jim Farrell touches on this as the three sisters struggle to find their identity and place in the family. Q. What is the one thing that influences your writing the most? A. In a word—Scripture. The thing I love about writing fiction is that it’s a nonthreatening way to share spiritual truths. Like the parables in the Bible, story and characters can bring these truths to life. Q. You now have eight published novels. What would you say to those writers just starting out? 1) Get connected. That means join a critique group, go to writing conferences and become an on-line member of associations like ACFW (American Christian Fiction Writers) and others. 2) Learn your craft. Take no short cuts here. Learn and employ good writing techniques and understand that good writing means LOTS of rewriting. 3) Learn about marketing. You the author will be required to do most of it even if you are fortunate enough to be picked up by one of the Big-5 traditional publishers. 4) And finally, NEVER give up. This is generally a long and bumpy road full of ups and downs. I personally don’t know any “overnight wonders” those who have taken about a year to write their first book which then becomes an over night success. Most published authors have written for years before getting published. Remember, the spoils go to those who persevere. Born in Romania, Sylvia Bambola lived her early years in Germany. At seven she relocated with her adopted family and saw the Statue of Liberty and America for the first time. But the memory of those years in post World War Germany inspired her to write Refiner’s Fire, which won a Silver Angel Award, and was a Christy Finalist. Her frequent moves as an “army brat” gave her an opportunity to see America and fall in love with her new country. Bambola has authored eight novels, has two grown children, and teaches women’s Bible studies.